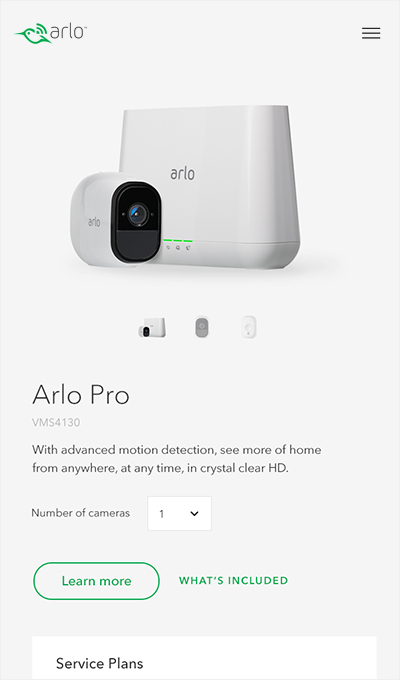 Arlo sets the standard for smart home technology, bringing together modern design, wireless connectivity, and cloud infrastructure to create a seamless platform for its customers. The brand looked to Baunfire to build a user-friendly website, optimized for engagement and conversion. The ask for this project was to develop a flexible and intuitive design system online that could be easily maintained by their internal content management team. We achieved this by designing a simple grid layout with the ability to combine various modules for each page. 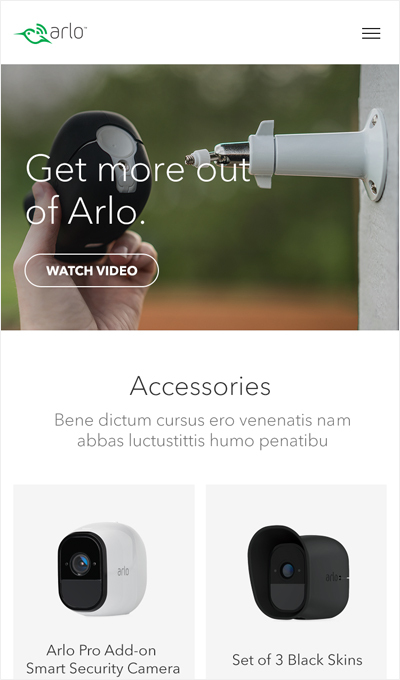 To drive sales on their eCommerce platform, it was essential to tell a compelling story on each product page. 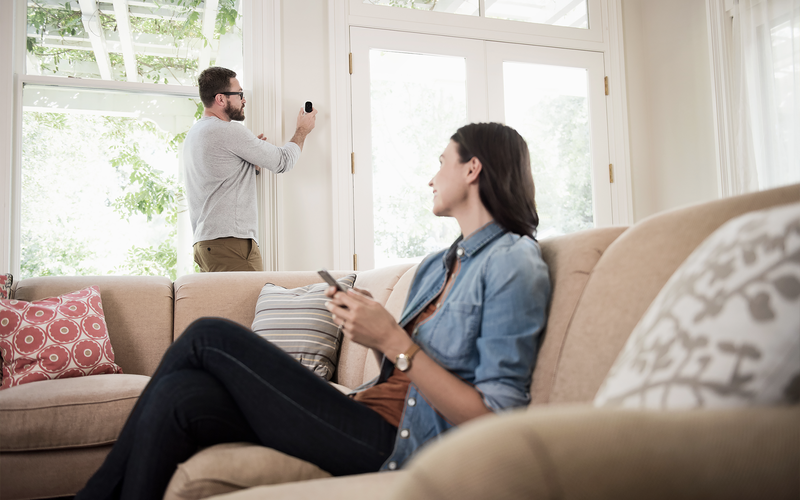 We combined impactful brand photography, relevant product details, and clear call-to-actions in order to provide users with the necessary information to make a purchase. 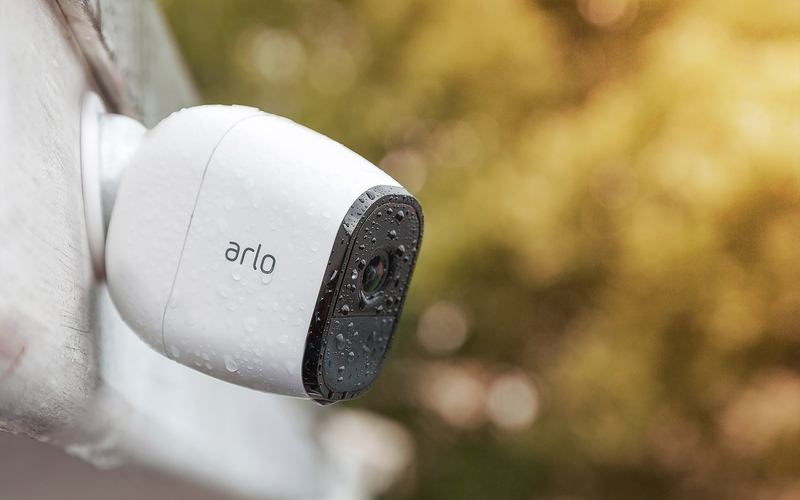 As a result, Arlo experienced a significant increase in website traffic and online transactions. 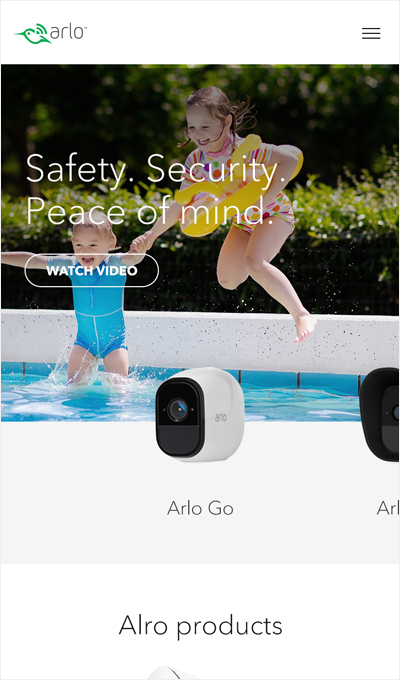 To help communicate the value of Arlo’s technology to potential customers online, we leveraged familiar lifestyle photography and effective content strategy to show products in context. 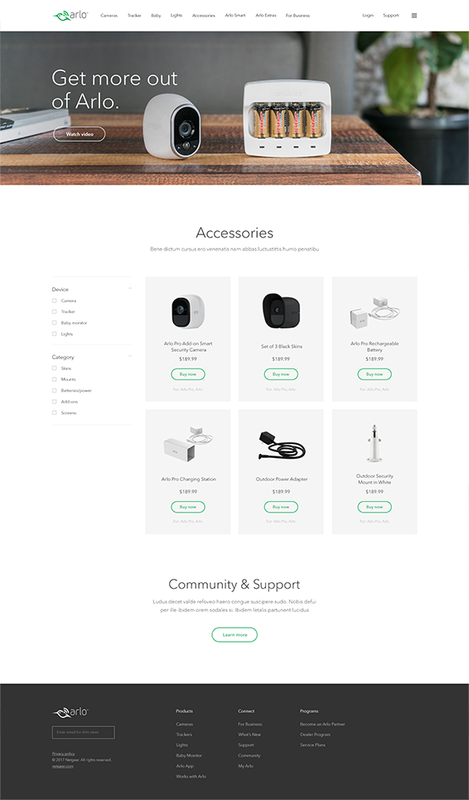 We designed a fully responsive website experience that was simple, intuitive, and engaging for potential customers on-the-go.